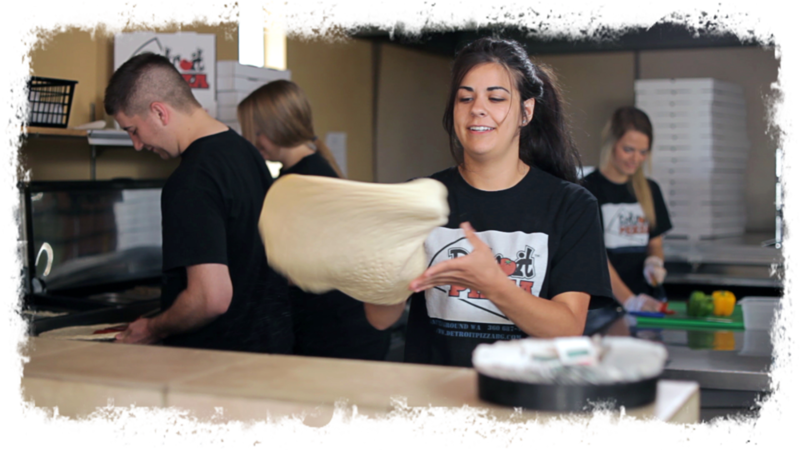 About Us — Detroit Pizza: The Best Pizza in Battle Ground! Here at Detroit Pizza we believe in satisfying our customers hunger the right way! Our recipe for making the perfect pizza pies goes beyond our delicious ingredients. It takes great service, a strong dedication to quality, and a passion for making the best appetizers, pizzas, and desserts in town. It also it helps if you’re Italian and have a few secret recipes! Tradition is good, but we’re always pushing the limits and inventing new items for your palate. Just give our Mac and Cheese Pizza a try and see why it is one of our most famous flavors. Need a gluten-free option?! We can deliver with our Gluten-Free pizza dough! Come by and try a pie or two or give us a call and we’ll bring it to you hot and ready to Eat! We serve Battle Ground and the surrounding area.